ac is using Smore newsletters to spread the word online. Those filthy loyalist and there darn crown of England. The Proclamation, Stamp Act, and Intolerable Acts. However, things came to us the were pretty fortunate, like the French and Indian War and the Declaration of Independence. The things that we experienced really screwed us over. The for the most part the king just wanted to tick us off and when I tell you that we are at the end of our rope, we are about to blow a top. 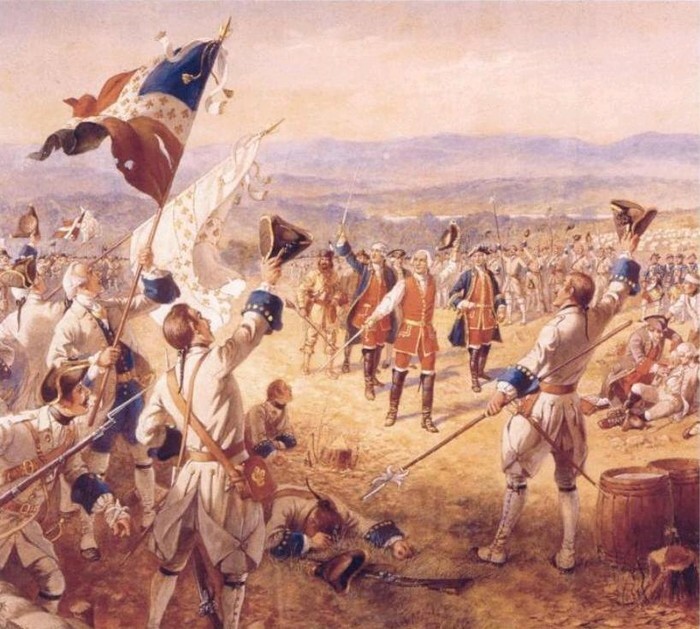 The French and Indian War led us into a false sense of happiness thinking that we could beat these English fools. We were all fools. However, hope came along when Thomas Jefferson drafted this piece of paper called the, " Declaration of Independence" in 1776 when we kept complaining about the treatment we received from the British government. This occurred Philadelphia, Pennsylvania. This is how we gained our Independence for England. The war was between France and England, Indians were allies on both sides. 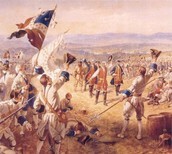 Its part of a larger worldwide conflict in Europe called the Seven Year War. It happened from 1754 to 1763. The conflict was over control of the rich fur area of the Ohio River Valley. It happened in British North America, And the Ohio River Valley. England won, claiming Canada and all land west of the Mississippi River. King George III spent too much money on the war, causing the country to go into debt, he imposed unfair taxes on the colonists. 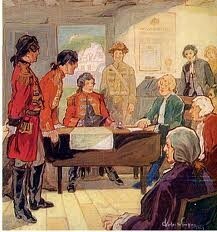 This event was between the American colonists and the British government. In 1765 a tax was imposed on items that colonists used daily. Such as newspapers, legal documents and licenses. 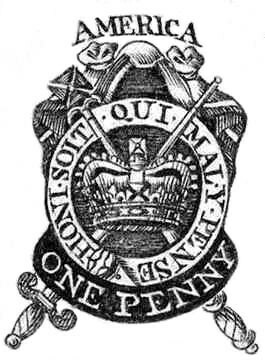 The British government believed colonists should help pay off their debt. In British North America the colonists reactions consisted of violent attacks, speeches, and protests. GA's reactions were minimal and the Liberty boys were established. 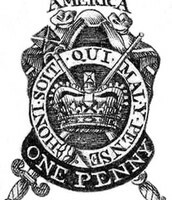 The proclamation was drafted by King George III against the colonists, the Patriots disagreed very severely but the Loyalists agreed, due to the fact that they were loyal to the crown of England. The document forbid the colonists from settling in the lands west of the Appalachian Mountains, so that there would be no more war. This occurred in the year 1763. The colonists in Georgia weren't worried because there already gained land from the Spanish. As a loyalist don't want separation from England, because the King worked hard to get this land for us. I try to be as loyal as i can to the king. At times we are called tories, royalists or kings men. I suffer harassment from other people in the colony. 1 in every 6 Americans are loyalist, and that number would have been higher if the patriots hadn't been so successful in threatening and punishing people who made loyalist sympathies known to public. We fight for the king, but are people are quickly deteriorating due to the actions of the patriots.